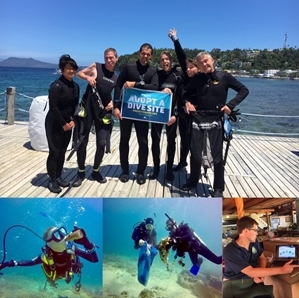 Upcoming “Dive Against Debris” | . For those interested, our IDC candidates are organizing a Project AWARE “Dive Against Debris” on the 1st of July here in Puerto Galera. We will meet at 10 am for a briefing and a fun trash treasure hunt underwater. All items collected will be analyzed and data uploaded to the global Project AWARE database so it can help with policy development and basically making a bigger difference!! Come join us! !